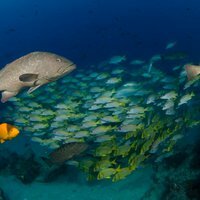 2018 Global Ocean Refuge Awards Announced! 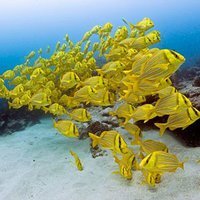 ​At the 2018 Our Ocean Conference, where representatives from about one hundred nations around the world and hundreds of marine conservationists are gathered, Marine Conservation Institute announced that seven new blue parks have been selected to receive its Global Ocean Refuge System Award. The newest members of the Global Ocean Refuge System (GLORES, pronounced “glories”) all meet the highest science-based standards for biodiversity protection and best practices for management and enforcement. These strong marine protected areas and no-take reserves will make an outstanding contribution to saving marine life for future generations. 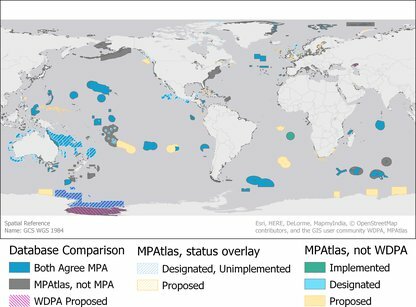 "The most accurate and widely accepted tally of all MPAs"
At the Fall 2017 Our Ocean conference in Malta, the Pristine Seas Initiative presented its Malta Declaration where MPAtlas.org was recognized as "the most accurate and widely accepted tally of all MPAs." The Malta Declaration emphasized the current overestimation of global marine protection and highlighted our work to withold unimplemented sites from MPA coverage numbers as a more transparent and accurate method of tallying accurate marine protection levels. The inclusion of MPAs that are designated but unimplemented overestimates current protections on the water where it counts. Because many implemented areas do not offer full protections, only 2% of the global ocean is highly protected today. Dr. Sala also asserted that the term “MPA” is overused and that marine protected areas should include verifiable ocean protection. They called on nations to create, implement, and enforce real MPAs in their EEZs and on the high seas. As nations hopefully heed this powerful message, MPAtlas will continue showing “true” marine protection. How is the Atlas of Marine Protection different from the official World Database on Protected Areas? 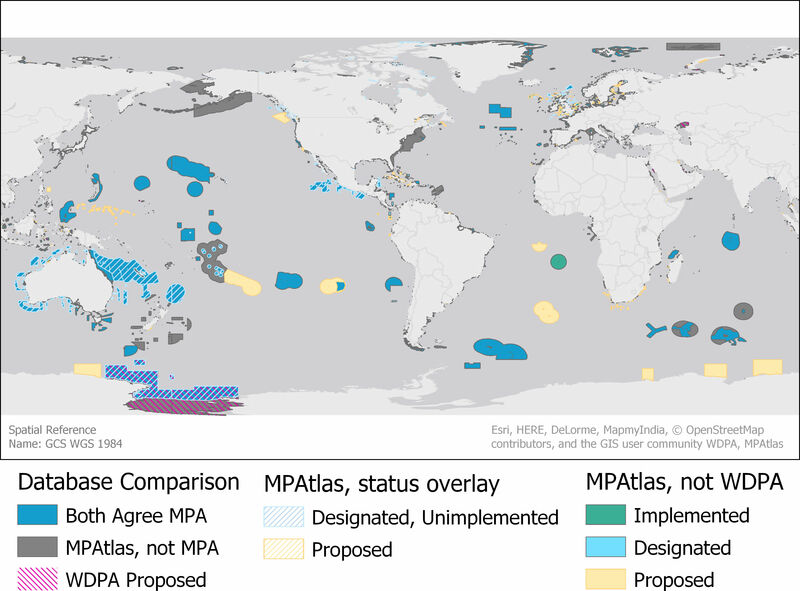 The team at the Atlas of Marine Protection (mpatlas.org) endeavors to track marine protection levels as commitments by countries to increase MPA coverage become due. Currently, many countries are working to reach 10% protection of their marine waters by 2020. Through our own third party research, we adjust the official MPA numbers reported by the World Database on Protected Areas (WDPA) to better track highly protected and fully implemented marine protected areas. We include newly proposed, committed, or designated areas within days of announcement, carefully tracking areas that are proposed or promised, areas that are legally designated but as of yet unimplemented on the water, and those areas that are fully implemented and in force on the water. The Atlas of Marine Protection numbers differ from official WDPA numbers but our numbers are based on the comprehensive numbers found at the WDPA (protectedplanet.net). Today, only 4.8% of the world’s oceans are protected in implemented and actively managed marine protected areas. Approximately half of that, or 2.2%, of the ocean is highly protected in no-take marine reserves. 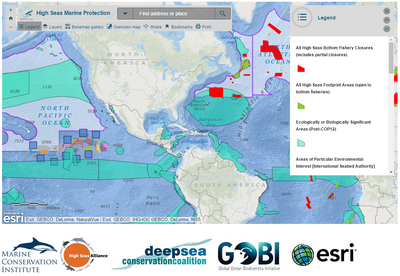 Created as part of our work with the Deep Sea Conservation Coalition and the High Seas Alliance, check out our interactive map of high seas protection. The United States risks falling behind in our efforts to protect our important ocean protections while the rest of the world races to meet global targets. 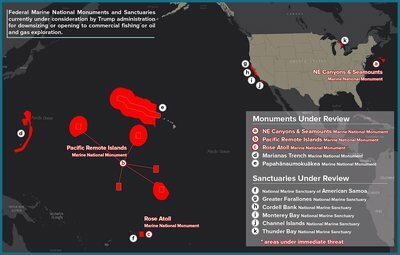 Read more in our annual SeaStates report on US marine protection for 2017. Marine protected areas are essential to safeguard biodiversity and to sustain vibrant seas in the face of increasing pressure from human caused threats. Today only 3.6% of the world’s oceans are protected in implemented and actively managed marine protected areas. Approximately half of that, or 2.0%, of the ocean is highly protected in no-take marine reserves. 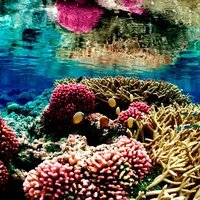 Our mission at MPAtlas.org is to evaluate and the levels of meaningful marine protection globally and to identify where and how we can meet internationally announced goals.